Client Satisfaction Is The True Measure Of A Successful Outcome! SCB Legal testimonials are something on which we pride ourselves. Client satisfaction is the true measure of success. It is essential that our clients are satisfied with their outcome and their overall experience with our dedicated team of lawyers. Happy clients equal a successful outcome and our success is measured by the contentment of our clients. Our recent court cases provide you with a greater understanding of what our clients experience during court proceedings. Reading some of these actual court cases will help place these testimonials in context. With One Of The Solicitors At SCB Legal? Highly recommend SCB LEGAL! not only are they professional but also they are caring human beings who don’t think about money first. Without them I probably wouldn’t be able to still drive. Recommend speaking with Sionea. She will personally take the time to go through every detail possible with you to get the best result possible. I’m extremely happy with this service and will use every time! Thank you!!! I would be screwed if I didn’t have SCB LEGAL helping me! I know I paid for that but just because you pay for something doesn’t mean you’re going to get the best. But I feel like I have. So thanks for everything, I truly am grateful I found your firm. Highly recommended for sure. Thanks heaps for the great outcome at Court. I would highly recommend these lawyers. They are affordable, knowledgable, professional and great at what they do. They even travelled over 5 hours to represent me at Court. I was found not guilty within 45 minutes. The staff at SCB Legal actually care about you and your Matter; you’re not just a number making money for them. Would use these guys for any area of law. Highly recommend they helped me in every way possible a very thoughtful an excellent firm one of the best I would say. Would highly recommend. Super professional and work to the best of their abilities. Thanks for all of your help! 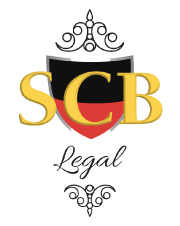 Would highly recommend SCB legal for a personal lawyer. They listened to everything and I got the best outcome possible. Couldn’t recommend them enough! Highly recommend Sionea from scb not only is she very professional, but she is also understanding and when you are under stress from court cases there is no one better to have on your side. Guaranteed you will not be disappointed!! Amazing service. Best honest legal advice I have ever received. Would definitely recommend to anyone looking for a professional lawyer! Best customer service and knowledge! I would recommend him to anyone looking to get the job done. Very helpful and supportive. I’m glad I chose SBC legal. Great and professional service, highly recommend these guys for all your problems.